Summer is just around the corner and it’s almost time to grill… and chill… all season long! There’s nothing better than sitting by the pool, on the deck, at a party, or at the beach enjoying good company and good food. Whether you’re barbecuing at home or hula dancing at a luau, having all the summer party supplies you need on hand will make summer relaxation that much sweeter. 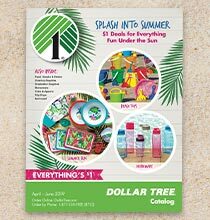 This is where DollarTree.com can help! Check out our new Summer Catalog and Summer Fun Essentials online now. There’s nothing like sipping a cold drink from a colorful cup outside on a breezy summer day… are you picturing it now? Turn your daydreams into reality by stocking up on everything you need for poolside serving in style. 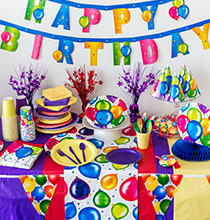 Stock up on bright and colorful plastic trays, plates, linens, and drinkware. 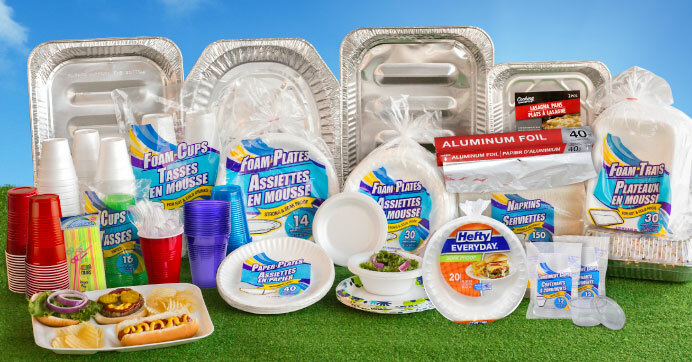 We’re your one-stop shop for grill utensils, condiments, seasonings, paper plates, foil trays, plastic cups, and so much more… for so much less. Everything you need for an epic outdoor barbecue or summer party is right at your fingertips. Get all the $1 fixin’s for a sizzlin’ good time this summer. 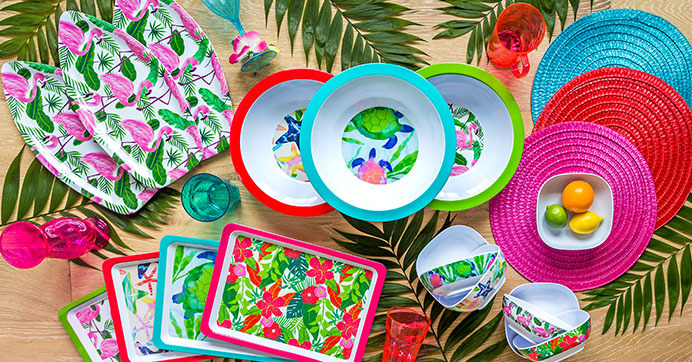 Want to bring tropical vibes to your local life? 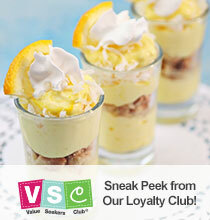 You don’t have to wait for your next vacation to get in the summer luau spirit. 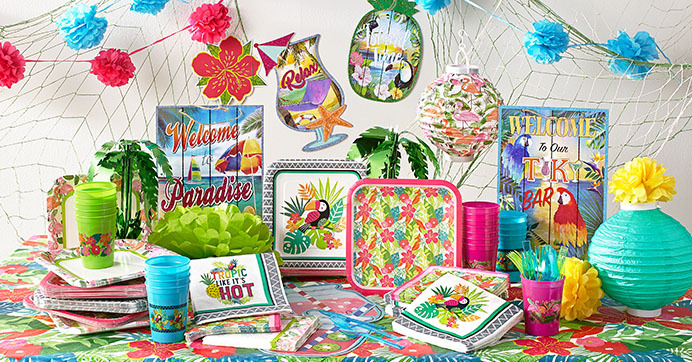 Complete with plastic flamingos and inflatable birds, deck out your patio or party with colorful luau-themed serveware, drinkware, and decorations.